Was wondering if anyone has any historical data/charts showing the number of over logical qubits over time. I am hoping to include something illustrative of Moore's law as applied to quantum computing for a presentation. Thank you. I recommend you the Quantum Computing Report page, where several news about quantum computing and other interesting data about the quantity of qubits and quality of them in each existing nowadays is presented. The link I added refers to a post called "Applying Moore's law to quantum qubits" as you are specifically requiring such information. I don't know if such a chart already exists, but I'd refer you to the Timeline of quantum computing on Wikipedia and the citations therein. It is quite comprehensive and you can extract the "number of qubits vs. time" data from there and create your own charts. Nevertheless, I'd like to mention that the number of qubits by itself is not a good measure of the performance of quantum computers. And Moore's law is not really applicable to quantum computing. Please read through the following threads. Is Google's 72 qubit device better than D-Wave's machines, which feature more than 2000 qubits? How should different quantum computing devices be compared? 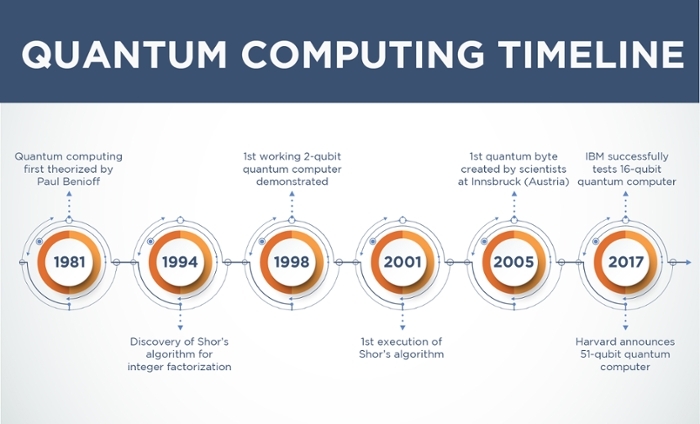 Does Moore's law apply to quantum computing? Thanks for contributing an answer to Quantum Computing Stack Exchange! Not the answer you're looking for? Browse other questions tagged resource-request or ask your own question. Does a complete list of open quantum software projects exist? Is there a list of accessible open problems in quantum computing from a theoretical computer science perspective?